B & I were looking through the liquor cabinet in search of inspiration this Sunday and came across our bottle of Aperol. A quick perusal of our blog revealed an omission of a really great cocktail gem. Although not, in strictest terms, a vintage cocktail (originally being published around 2009, according to DrinkBoy.com), its existence is flows directly from the utterances of one of the deities of the vintage cocktail movement, Audrey Saunders of New York’s Pegu Club—a fact that also makes this tipple unique in the pantheon of cocktails, a verifiable provenance. 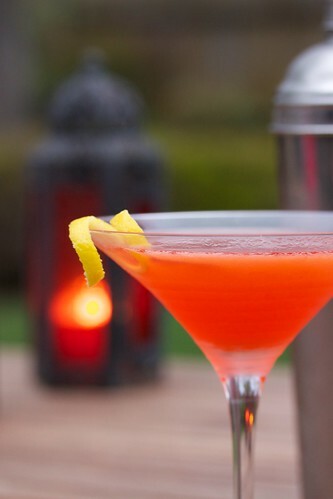 As the name suggests, this cocktail is a great introduction into the world of amari. Aperol is milder and lower in alcohol than may of the other members of this family of liqueurs. This cocktail also has it as the foremost ingredient. Shake with ice and strain into a cocktail glass. At the Pegu Club, it’s garnished with a flamed orange peel. The citrus flavor of the Aperol along side the lemon juice make for a light and fresh cocktail. It really works well for those summer cocktail hours.